Bayern Munich teenager Ryan Johansson has pledged his international future to Ireland. 17-year-old midfielder Johansson, who also qualifies for Luxembourg and Sweden, informed Ireland U19 boss Tom Mohan of his decision this evening. Johansson's decision is also sure to be welcomed by U21 manager Stephen Kenny as he faces into the qualifiers for Euro '21 and next summer's Toulon Tournament. "Ryan is very happy to have pledged his international future to Ireland. He really enjoyed his time in Tom Mohan's underage squads," Johansson's mother Christine told Independent.ie. Johansson qualifies for Ireland through his grandparents with Christine's mother and father hailing from Clare and Westmeath respectively. "Our summers and Easter holidays growing up were always spent in Ireland," Christine continued. "We have great memories and Ryan is really looking forward to continuing to represent the country at international level." 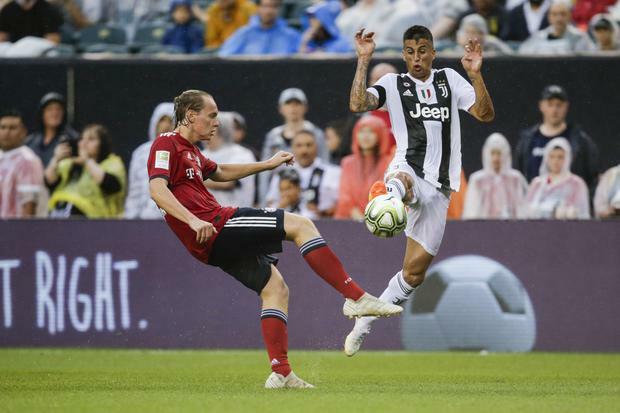 Johansson played for the Bayern first team in pre-season friendlies against Manchester City, Juventus and PSG. He has continued his development in their underage set-up and played four games in the UEFA Youth League earlier this season. He played for the Ireland U19s twice in September before playing at U21 level for Luxembourg in October. As the player has already played competitively at underage level for Luxembourg in addition to friendlies for Ireland and Sweden, his decision to formally switch will be binding once it is completed.